Sounds different right? Yes, a wedding ritual of kidnapping the bride is still being practiced in Romania. Here the tradition is that a bride is kidnapped by few friends of the bride groom from the wedding ceremony and then the groom is demanded over the phone to deliver a ransom, may be few whisky bottles, dancing, singing or any other crazy thing like public declaration of love. This is known as marriage abduction or marriage by capture which is a harmless act and it is celebrated as this adds whiff of risqué fun to the nuptials. It is also heard that if a man abducts the women and manage to make her stay with him for 2-3 days, may be convincingly or forcefully then she is officially declared as his wife. And this Romani culture is getting popular all around as Romanians live throughout the Europe. 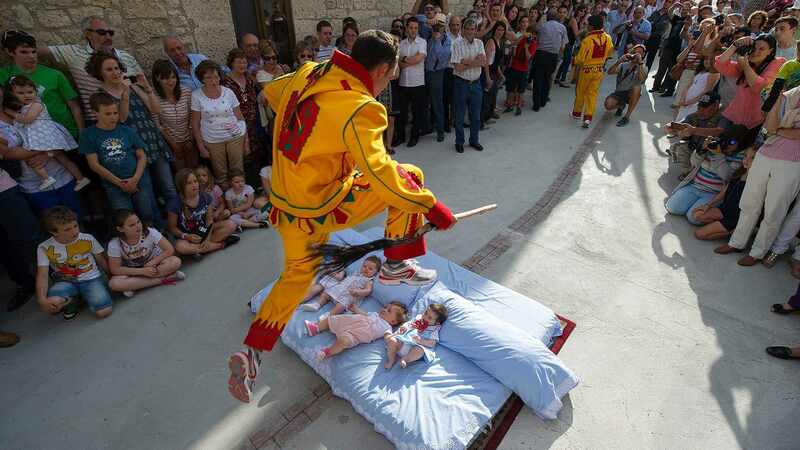 The tradition of jumping over babies in Spain is called baby-jumping festival or El Colacho in Spanish. This weird culture is being practiced and celebrated since 1620. Most of us never knew that such an unusual festival is celebrated in the country like Spain. In this feast babies below 12 months or babies born in that year are laid down on mattresses in the streets and men who are dressed in yellow-red jump suits, bravely jump over the little ones. Well these men are treated devils holding whips. Huge crowd is gathered in the streets to watch this festival. People believe that this festival is celebrated to keep the demons away and according to Baptism this ritual cleanses the infants of original sin. Baby Tossing!! Yes, a jaw dropping ritual followed in the Sholapur Village of Maharashtra, India. A very popular practice in the state of Maharashtra is Baby tossing where new born babies are dropped from the terrace of a 50 feet building or tower. Thankfully people on the ground hold sheets to catch the baby safely. Believing that this brings the baby long healthy life, good luck and moreover also believed that this practice ensures the prosperity of the family. A huge crowd gathered to watch this practice. Though people at the foot of the building ensure the safety of the baby, this is still a deadly practice. Hold on! It’s not what you think. Shooting the bride is one another weird culture followed in China. 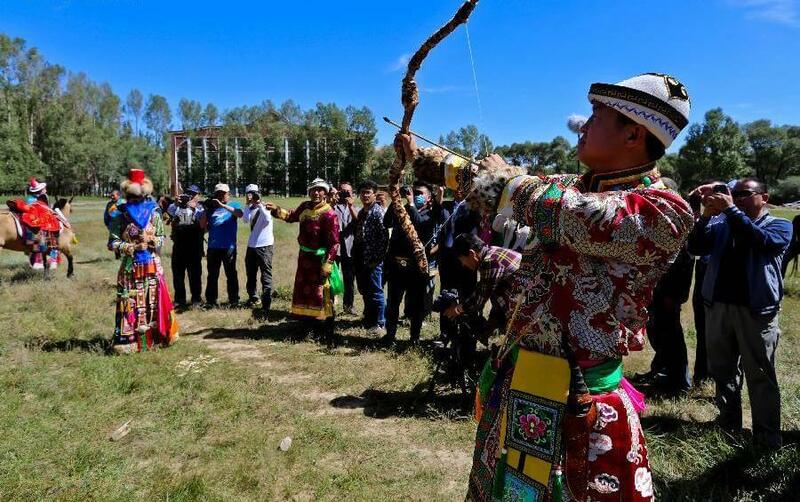 In this traditional wedding of Yugur ethnic group residing in Sunan Yugur Autonomous Country of Northwest China’s Gansu province, the bride groom shoots his bride with three arrows which do not have the sharp arrow heads. And when this is finished the groom collects the arrows to break them into pieces. With this deed he ensures that they will love each other forever. Here it is not exactly clear why and how breaking the arrows ensure their eternal love. Well, thankfully the arrows have no heads! Here is the crazy annual buffet festival organized grandly for monkey in the province of Lopburi, Thailand. This is the biggest festival organized by Tourism Authority of Thailand where tourists from all around the world visit to attend this strange festival. 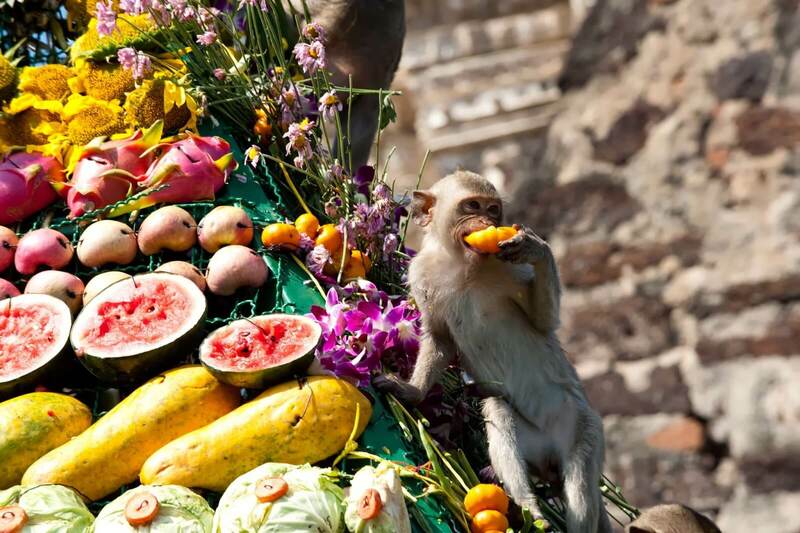 Al lavish arrangement of festival is done with lots of fruits, flowers, cakes and more which attracts the monkeys towards the tablets. And these beautiful scenes are captured by the tourists. Yongyuth Kitwattananusont, a hotelier started this festival with the sponsorship of Tourism Authority in 1989. This is usually celebrated on 25th of November every year. So, if you do not want to miss this crazy festival, plan your next trip to Thailand and enjoy the Monkey-Buffet Festival. Here is the German Wedding tradition which is one among the weird cultures. A Log Cutting custom is usually done after the wedding ceremony in Germany. 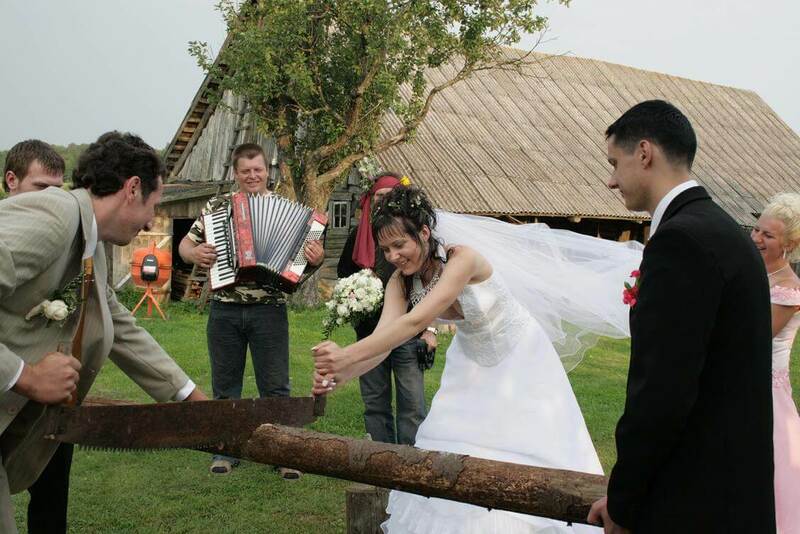 In this ceremony the new couple should work together to saw a log in half. Every guest who attended the wedding ceremony also attends this ceremony. In front of their entire guests, both bride and bride groom should finish this act. This symbolizes the strength or ability of the couple to work together and face the future obstacles in their life as a wife and husband. Log cutting represents the first obstacle that they need to overcome together in their married life. 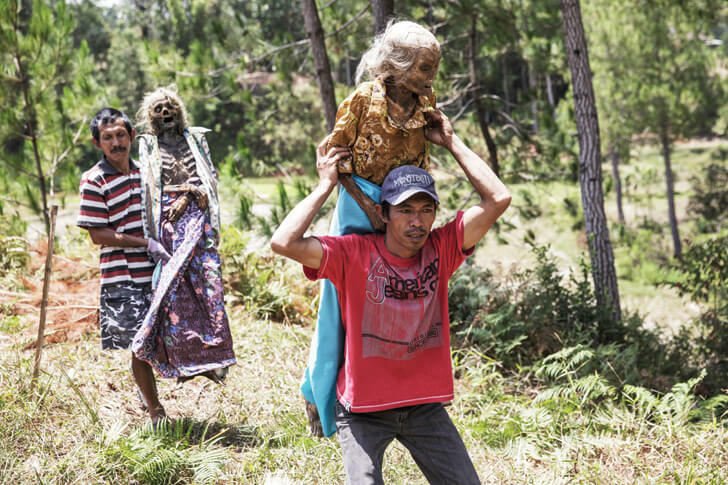 Is it not weird to know that Toraja people live with dead bodies for months or even years? Of course it is the unusual and bizarre. A ethnic group called Toraja of Indonesia practice a ritual of exhuming the corpses of their family members with them at home. The corpses exhumed by all the fellow villagers are taken out and draped in special garments to parade in the village. Corpse at the home are treated as a live family member, they offer food and also dress then regularly till the funeral. And during the funeral a buffalo is sacrificed. And every year families return to the tombs of their ancestors to perform second funeral. There they clean the corpses, change their clothes and coffins. 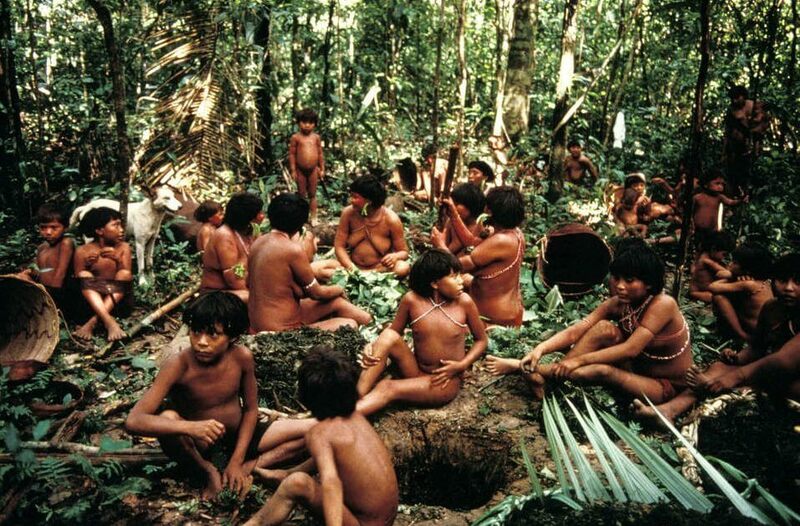 The Yanomami tribes which live in Amazon rainforest near the border of Venezuela and Brazil are known for their weird tradition called endocannibalism. This tradition is considered to be the most horrific. The practice of Tribes here is eating the flesh of the human bodies after their death. The dead bodies of the members of one’s own community or group are consumed in this tradition. This practice involves collecting the bones of corpse that were wrapped in the leaves and allowed to decompose. The bones collected are crushed into powder which is mixed into a banana soup and consumed by all as an act of mourning. A year after this, the ashes are mixed and consumed with plantain soup. 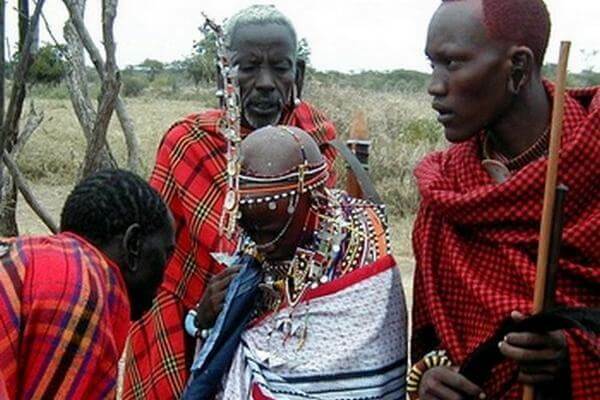 Here we go with one more weird wedding tradition followed in Massai nation, Kenya. At the wedding ceremony Massai Bride is blessed by her father in the weirdest way you never know. Massai people tradition is that the bride’s father blesses her buy spitting on her head and breasts. After this bizarre act she leaves the place with her husband and does not look back with the fear of turning into a stone. All weird traditions are followed on a wedding day!! Don’t you feel so? Here we have one more weird practice followed in Scotland on wedding day, where the happiest day is celebrated in the weirdest way. On the wedding day the bride’s family, friends and relatives will show affection by throwing different nasty things like dead fish, rotten eggs, spoiled food, curdled milk, sauces, flour, sausages and mud. She is then tied to a tree and after taken for a night of drinking. Sometimes both bride and groom are victims of this pre-wedding practice. After making them dirty a parade is also conducted with all the well-wishers making lots of noise. The people’s belief is that if the bride is able to handle this practice, they can handle anything throughout their life.